Helen Keogh is a BAFTA winning Digital Producer, specialising in first class education and entertainment products for the children’s market. 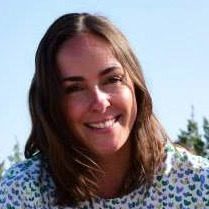 She has eleven years experience of managing high profile and complex projects for a variety of international children’s clients, working across brands such as ‘Peppa Pig’, ‘In the Night Garden’ and ‘Dora the Explorer’. A former CBeebies Senior Producer, Helen was awarded the Interactive Children’s BAFTA in 2010 for her work on ‘ZingZillas’.